We are gathered here to formally acknowledge that Universal Ranking Factors are dead. The new kings of search will be online marketers who master the fact that signals for relevance have been replaced by specific ranking factors based on search intent and industry relevance, according to the Searchmetrics Ranking Factors study, “Rebooting Ranking Factors.” Content relevance will be key to success as we move into an era of industry ranking factors. RANKING FACTORS ARE DEAD. LONG LIVE RANKING FACTORS! Search engine priorities in ranking results have changed, and online marketers need to be more flexible and creative than ever before. It’s why this is the last you’ll hear from Searchmetrics on the subject of generalized guidelines inherent in top-ranked sites. This is because (plot twist!) we’re preparing to publish a series of highly relevant, industry-specific Searchmetrics ranking factor studies throughout the upcoming year. 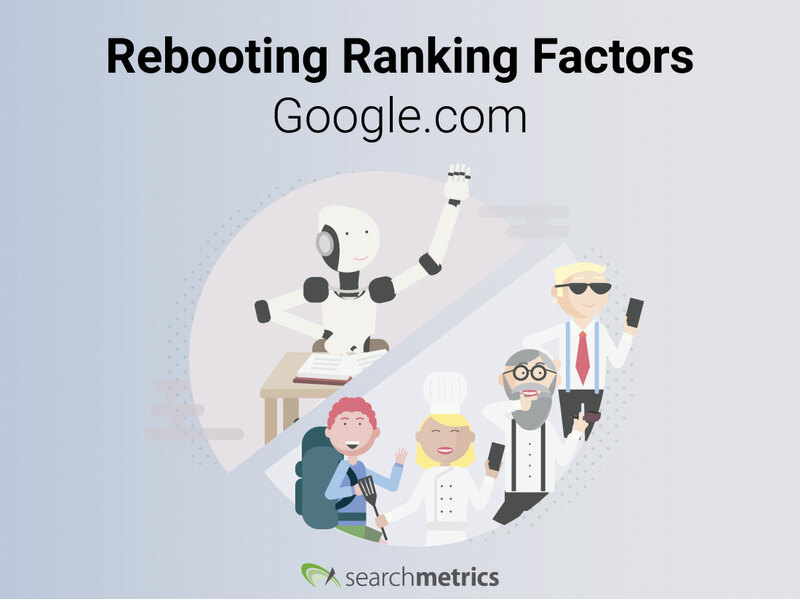 Our ranking factors reboot is an acknowledgement that ultimately, chasing rankings has become never-ending. Google’s algorithm is now fluid and operates in real time. 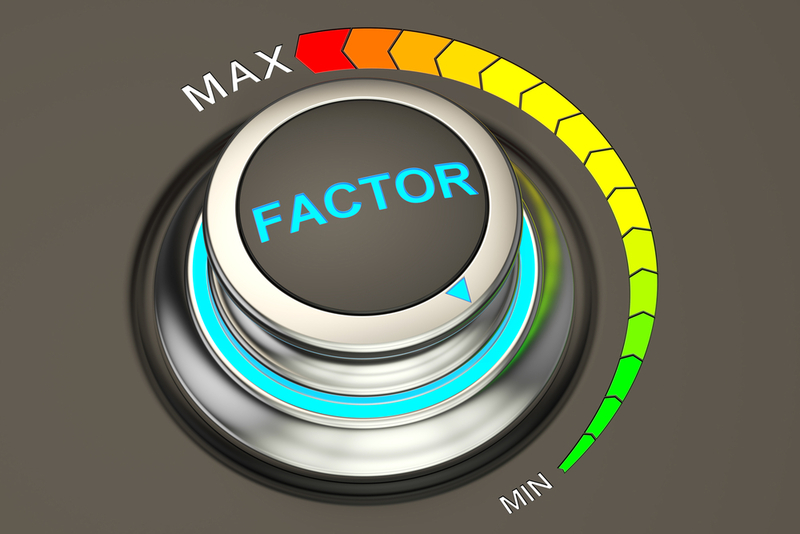 That means that ranking factors are flexible too. If you want to be counted among Google’s top results, or even aspire to be the direct answer for a search query, your content must be highly relevant. 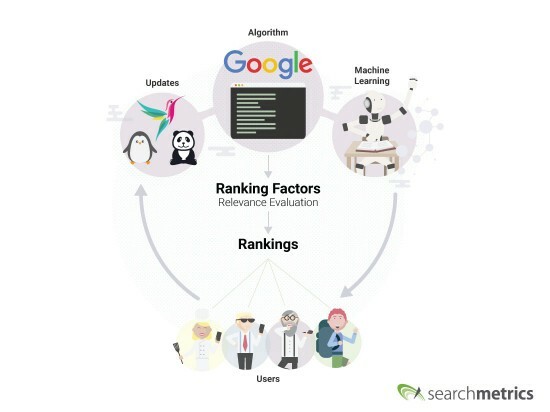 Content Relevance factors are the heart of our new Searchmetrics Ranking Factors report. For the first time, deep learning and Big Data have made it possible for Google and others to empirically measure the relevance of content. These new Content Relevance factors are amongst the most important for top Google rankings – building on a slick technical implementation and high-quality user signals. Ensuring your site is technically proficient and optimized for search engines is simply a matter of tactics. While this remains a foundational element, it will only get you so far. What’s needed now are the keys to understanding how to adapt your game for the long term and create value and relevance. Enter “Content Relevance” as the heart of the new Ranking Factors study. We already know holistic, relevant content is important. Now we’re able to analyze the more specific aspects of a URL. 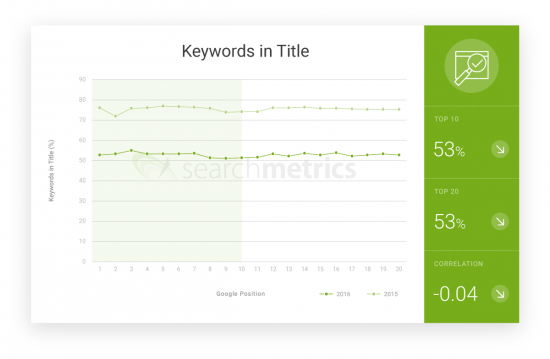 The keyword itself is no longer the deciding factor in the ranking of a search query. The relationship of the content to matching user search intentions are what now heavily influences Google’s rankings, our analysis shows. In 2016, outside of the brand factor (where we’ve observed large brands ranking in positions 1-2), just 53% of the top 20 URLs included the keyword in their title. 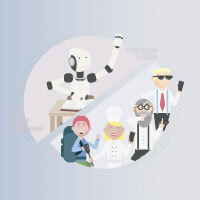 Furthermore, we evaluated factors like the main content area of the page, word count, keywords in prominent positions like the title, description and H1 – the former are now holistic factors contributing to the primary ranking factor that is content relevance; not the optimization of individual elements using a single keyword. You could say the Searchmetrics’ Christmas gift to ourselves and the rest of the SEO community is sharing and confirming our data-driven approach to the hypothesis that relevant content is important and a key factor of Google rankings. How Do We Measure Content Relevance? Analyzing the quality of content was a huge task that required a different approach. Until now, a data-driven methodology did not exist. That’s why Searchmetrics has been using machine learning to develop a concept for measuring content relevance. 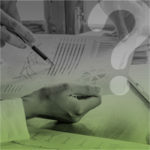 Today, we can calculate a content relevance score for a complete text on a topic. The higher the relevance score, the more relevant the content of the analyzed landing page for the given search query. This was a huge undertaking for the company that required patience and our massive data set, which enabled us to now turn content relevance into a number we can work with. 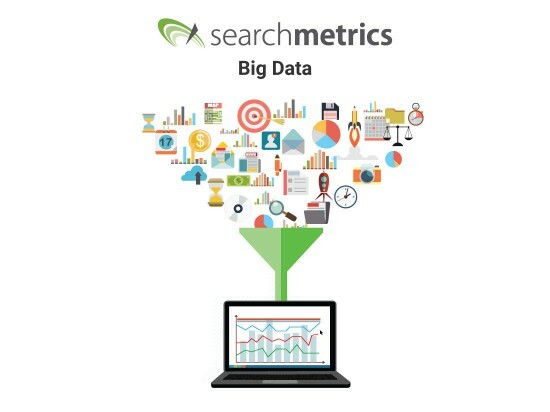 It makes Searchmetrics uniquely capable of defining and identifying content relevance as a fully-fledged ranking factor. Rankings today are largely due to content being relevant to the search query such as answering a question or dealing with the most important aspect of a topic (this is bigger than just being relevant for keywords). Matching user intent with queries means finding what form of content is most relevant to searches. This is the new challenge: solving the user’s problems and pain points with content that matches their intent. Sometimes it’s as simple as answering questions typed into Google. Per our study, the “big brand factor” aside, pages with more relevant content rank higher, in positions 3-6 showing the highest content relevance. 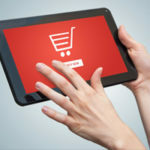 This new factor, along with some of the more well-known factors such as positive user signals, technical factors (such as having secure HTTPS pages), and links from social media all culminate towards contributing to the domain authority. These factors working in concert are part of the basic requirements for what continue to be among the best practices of SEO. Besides being flexible, we discovered something else about today’s ranking factors; they’re a different set of moving parts depending on which industry you’re in. In its own way, each industry acts as a microcosm of what factors constitute domain relevance, authority and expertise. Again, this highlights the relevance of content for Google rankings. Subsequent to this is an understanding of user intent (Is someone an information seeker or is that person simply bargain hunting?) But content needs to be different depending upon the user intention. In general, we’ve seen pages with longer text rank higher, however – and here’s the shift – for some searches, the results will invariably have a shorter amount text. This is the correlation between search intent and content relevance. Google is looking to feature the best result for the user experience. What does this mean for ranking signals? Content is shifting in two ways: How it is created and how Google presents it to users. Since Google’s algorithm is getting more precise (thank you artificial intelligence) and it operates in real time (a nod to Rank Brain) this is the last Searchmetrics study of its kind. 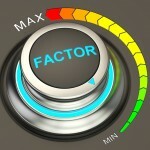 Ranking factors aren’t dead – rather, it’s time to reboot. Big leap in the presence of HTTPS at the top of Google’s rankings – Non-HTTPS will be marked as “unsafe” by Google in 2017. Therefore, Google continues to elevate security using HTTPS as a ranking factor. So what’s next? Next year, we’ll be releasing our industry-specific papers for industries like Travel, eCommerce and Finance. The Searchmetics Rebooting Ranking Factors study addresses the general elements required for the top-ranked sites by Google. That said, it will give you the foundations upon which to focus on for improving site quality by tightening up technical elements, and user experience based on content relevance. Ranking factors that apply equally to all industries have ceased to exist. 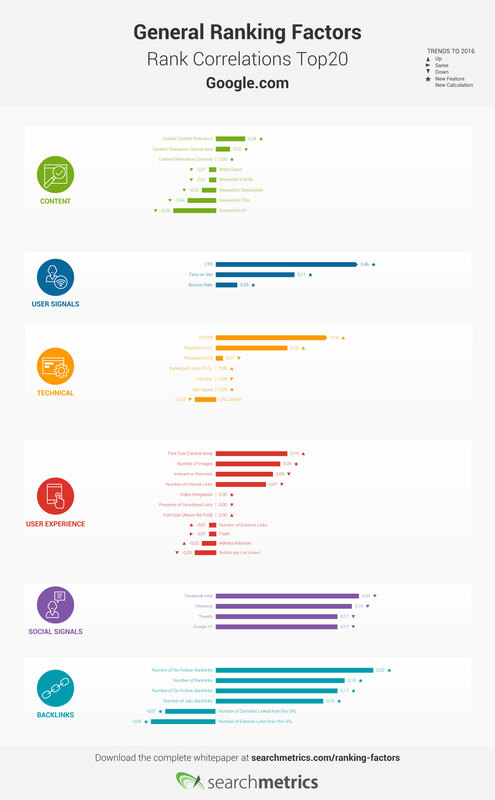 This is primarily because the content requirements depend so heavily on different user intentions. Google’s algorithm is now seamless and the search engine giant is rapidly embracing a mobile-first approach. 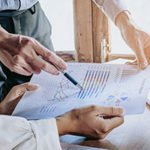 The benefit to adopting a holistic approach is that it’s the path to delivering a long-term increase in rankings, the number of site visits, and conversions for your online business. What business doesn’t need more of that? Thanks for the fantastic Article Holly. Will download and go through the whitepaper. Thank you for sharing this report, Holly. I still don’t fully understand in what way Google is forcing you to stop researching this. Factors like these are investigated by reviewing large data-sets. And powerful tools such as Searchmetrics are ideally placed to offer deep an relevant insights. For that reason I’m fairly confident to see a new update twelve months from now. And so I remain sceptical (read: hopeful).
. Google’s algorithm is now seamless and the search engine giant is rapidly embracing a mobile-first approach. I’ve started a Blog by the mid of 2016 and working specifically based upon Google algorithm. As it was almost completed 6 months, but still I haven’t seen any improvements in my ranking positions. Can you please guide me in a right way to achieve the results? Thanks for this awesome article. I agree, content relevance plays a major role nowadays. It’s good that you have shared this whitepaper and hoping that we can see more studies this 2017.
nice post, thanks for sharing SEO tips. Creating content is more genuine manner helps to explore better ranking factors, Like if someone wish to open web design company, better to represent every member through content portfolio…. Is it a good idea! It can be difficult to know where you should really spend your time in 2017. I keep reading that back-links are losing relevance but at the same time you still need them. 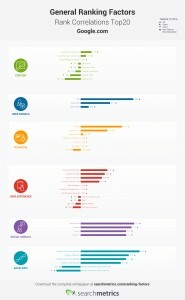 As more and more people start developing long form content it will be interesting to see how the search engines react. For instance if you have a 4,000 word article could it have enough information to be considered relevant for a number of keyword phrases? Good information though, thanks. Thanks for sharing the great report. I’m going to get my copy right now! Content marketing is now on the top factor. 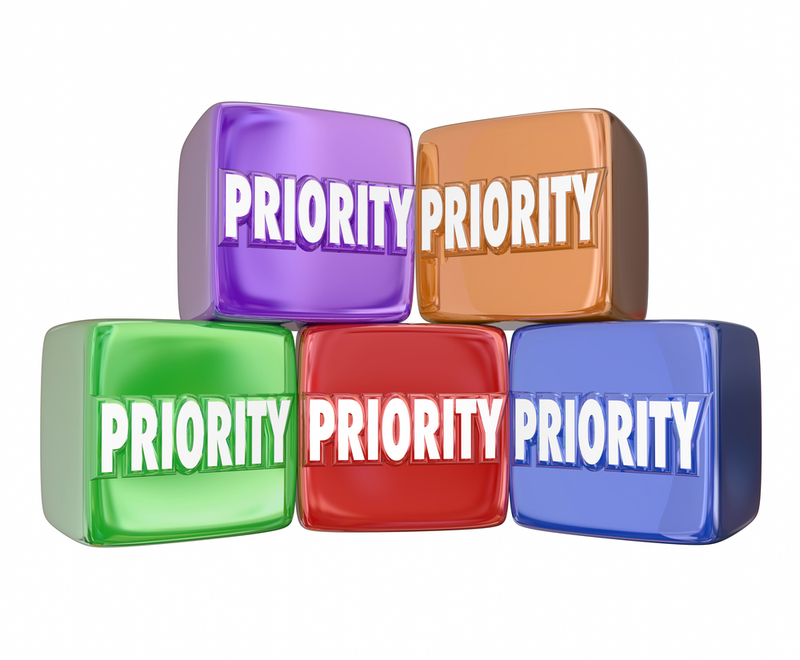 In-depth articles and authority of the site matter more now. Anyways – Thanks for the details!